Basic Systems, USA was approached by a client in the medical device sterilization industry to install a new integrated safety control system. This system incorporated the latest in multilayered safety equipment to protect personnel and equipment in an irradiation environment. This integrated safety control system included a radiation monitor, airflow detection, and smoke detection. The system included an AB GuardLogix PLC, AB DeviceNet Safety Scanner, Dell workstation, server, and Cisco network equipment. 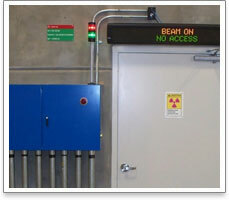 This system was designed to monitor a safe perimeter around the hazardous irradiation environment. Light curtains, safety tracks, door sensors, and electronic door locks maintained the perimeter and safety inspection procedures were enforced by safety mats and captive keys. The system collected information on device status, device failures, tampering, operator required action, faults, and operator fault resolution. If an emergency arose, facility personnel were notified by horns and light beacons while E-stops and pull ropes would disable the machinery. 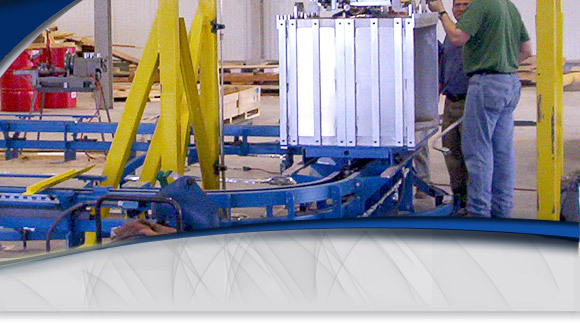 This integrated safety control system project is outlined in the table below. If you would like to learn more about our services, please feel free to contact us.